The Reign are still searching for a full 60-minute performance after not doing so in their first two games of the Western Conference Finals against Lake Erie. The result now is a two games to none series hole after dropping a second straight home game in Sunday’s Game 2 by a 3-2 score. And now the series shifts to Cleveland. The patterns that have made the Monsters successful is their speed combined with opportunistic scoring that occurs in quick succession. 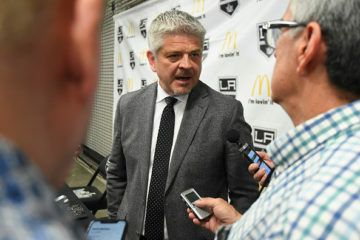 That, combined with the Reign not finding their game until the third period have been the underlying issues for the defending Calder Cup champions. “That’s a good team and I readily admit that’s a good team,” Reign head coach Mike Stothers said. “I don’t think they’ve seen as good as we can be as consistently as we can be.” Expected to come with their best effort at the start of this one, the Reign instead fell behind 2-0 in the opening period on goals just 12 seconds apart by Markus Hannikainen and Lukas Sedlack. Both Monsters players scored and assisted on each other’s goals. Sedlack found Hannikainen crashing the back door as he got away from Paul LaDue, who was making his AHL debut, and made a quick pass to him at the front of the net and he tapped it by Reign goalie Peter Budaj at 12:28. Off the very next faceoff at center ice, the Reign got the puck in the Lake Erie zone but when Kevin Gravel pinched at the blue line, Lake Erie got the puck moving the other way and Sedlak came in on a 2-on-1 against Derek Forbort. Forbort played the pass and Sedlak held on and shot five hole on Budaj from left circle. Ontario took two offensive zone penalties in a row in the second period and the Monsters capitalized on the second with Joel Lowry off for highsticking. 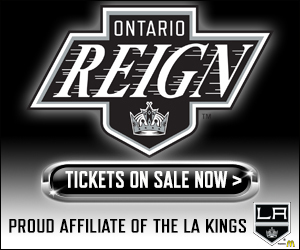 T.J. Tynan flew in off the left wing to bury a rebound at 4:40 that put the Reign down 3-0. 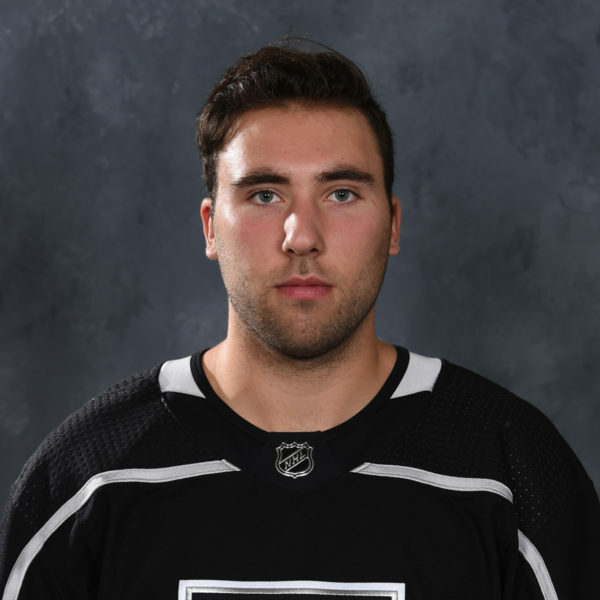 The third period, as it was in Game 1, was a focal point and a too-little-too-late push as the Reign got on the board when Paul Bissonnette drove the center lane and redirected a Kris Newbury pass by Monsters goalie Anton Forsberg at 5:31. Gravel cut the deficit to 3-2 with a blast from the top of the circles at 12:48 off a feed from Michael Mersch from low to high. It was almost like the same game was being played from Game 1 to Game 2. For a second straight night the Reign pulled Budaj for an extra attacker and had a prime chance to send it to overtime. 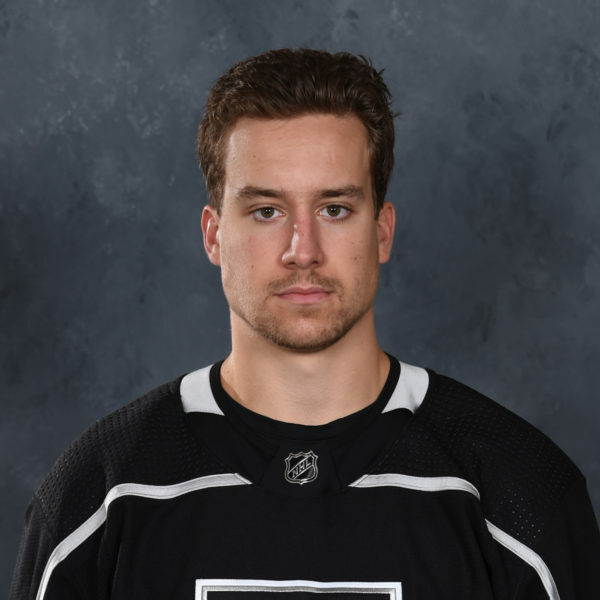 On Saturday it was Adrian Kempe who rang one off the post, on Sunday it was Mersch who found himself alone on Forsberg in the final 20 seconds but couldn’t sneak it five hole. 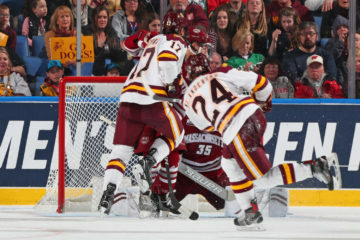 “I’m thinking to myself on the bench, I’m going, ‘My God, if I could pick a guy that I would want to have standing in front of the net with a puck tonight it’s Mike Mersch,’” Stothers said. “So, yeah. They didn’t go in. They made good plays. We had some good looks. That’s just the way it goes.” The way it is now is the Reign are facing an uphill climb in a position they’ve never been in. T.J. Tynan – Credited with the game-winning goal, Tynan, who led the Monsters in points in the regular season (6-40=46) netted his first goal of the playoffs. 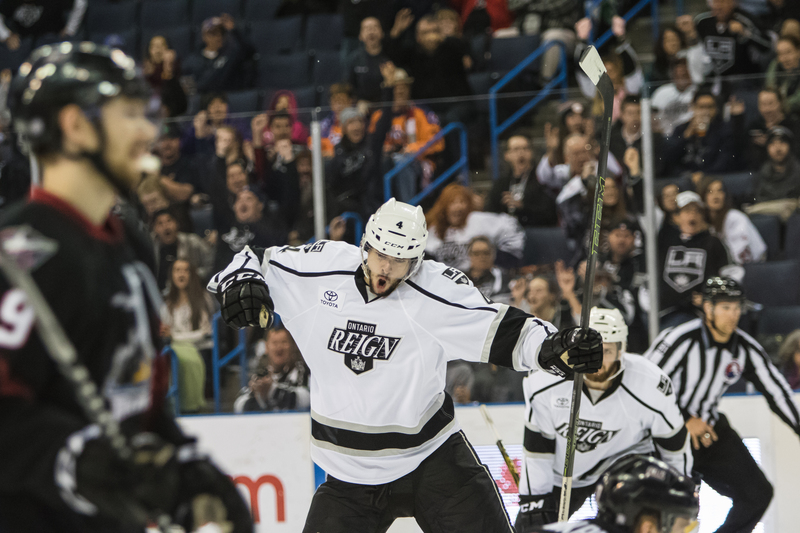 The Monsters’ second-line center helped his team’s potent power play (12-for-43) solve the Reign’s top penalty kill (4 goals allowed on 37 kills) for a second straight game. Paul Bissonnette – The veteran winger scored his first goal of the postseason by getting into the tough area at the front of the net. Out of the Reign’s five goals against the Monsters, Bissonnette’s is the only one to be scored from the dirty area while the opposition had two within feet of Budaj in this game. Lukas Sedlak – All it took was 12 seconds for the Czech Republic native to overwhelm the Reign. First he set up Hannikainen on a nice tic-tac-toe play to open the scoring. For his own, Sedlak fooled Budaj five hole for his 6th goal which is tied for the Monsters’ postseason lead. 3 – Games in a row ahead in Lake Erie’s building. 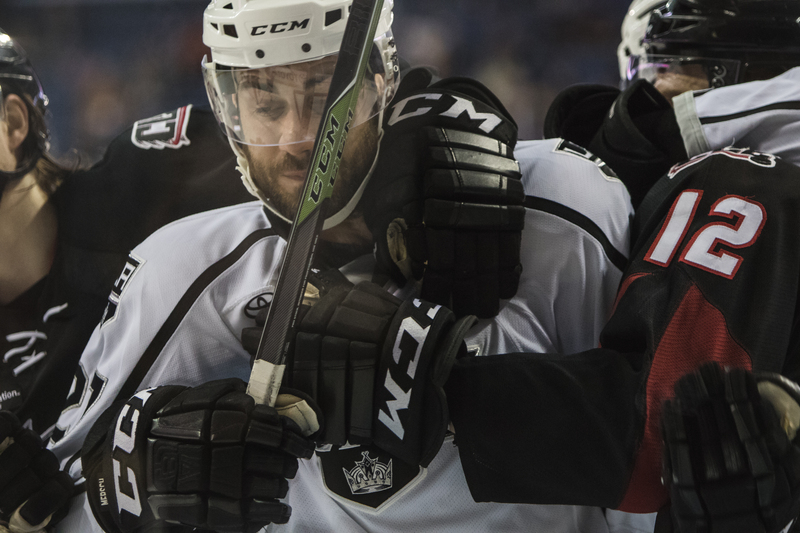 Brett Sutter returned the lineup for the Reign after missing seven straight playoff games due to injury. 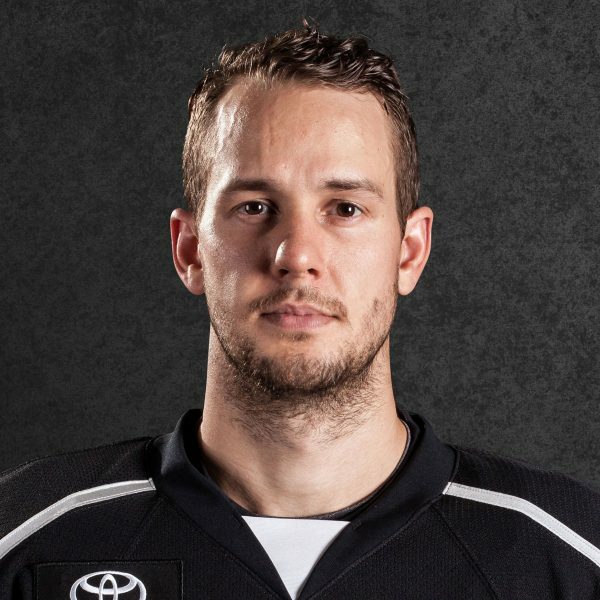 … It was learned through a hockey ops source early Sunday that Reign forward Jonny Brodzinski recently had wrist surgery and no timetable was provided for his return. 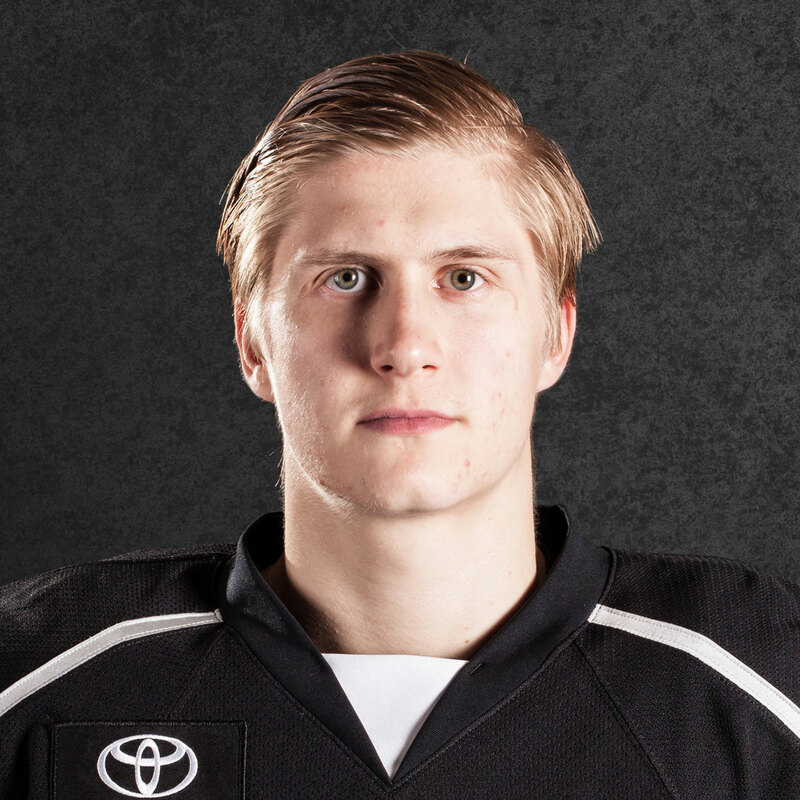 … LaDue made his pro debut and finished an even rating and two shots on goal. … The only change for Lake Erie was defenseman Michael Paliotta replaced a scratched Jaime Sifers. 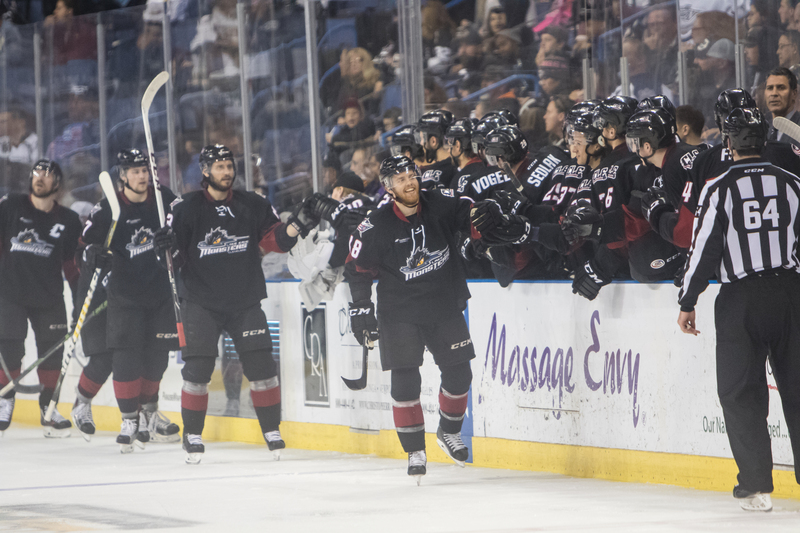 The Reign are traveling to Cleveland on Monday morning and play Game 3 of this series on Tuesday at 4 p.m. PT at Quicken Loans Arena.